Here, seven fantastic vinaigrettes that take just five minutes to prepare. Now that you’ve learned the perfect basic vinaigrette technique from Melissa Clark in this video, it’s time to expand your repertoire. Here, seven fantastic vinaigrettes, and each takes just five minutes to prepare. This punchy Asian-inspired vinaigrette gets some great subtle heat from freshly grated ginger. Instead of tossing chunks of feta into a salad, puree it right into this luscious, tangy vinaigrette. This classic dressing is great on almost anything from leafy greens to apples and pears. A food processor does all the work for this summery vinaigrette. 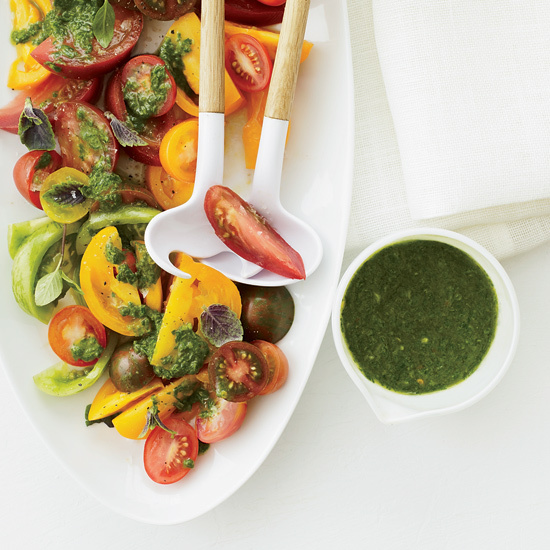 This sweet, tart and tangy dressing gets a terrific kick from bitters. Honey and lemon are a classic duo. They are terrific in this dressing with savory thyme. This deliciously tart vinaigrette is perfect on a crisp cucumber salad or even a steak salad.